As the number of effective anti-neoplastic agents has grown, there has been a concomitant increase in side effects. Cardiotoxicity, and specifically LV dysfunction, remains the limiting factor for many such agents, and is the focus of growing research and clinical emphasis. 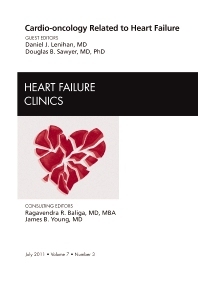 This issue summarizes for the heart failure specialist the possible ways that chemotherapeutic agents might cause cardiotoxicity as well as the methods for detecting, treating and preventing cardiotoxicity.